This is the sixth in a series of ten in which we meet one of the San Diego 10 orcas and hear from an advocate who continues to be one of the voices of these imprisoned voiceless, never stopping until the whole world listens. Imagine living in quiet desperation in solitary confinement for 10 YEARS. Pretty horrendous, right? The crime for such enforced aloneness? Nothing more than being held captive by those who considered her merely a source of entertainment and breeding opportunity for them. Nothing else. Just a money commodity. That’s Shouka’s story–the first orca to be born at Marineland in Antibes, France on February 25, 1993. Shouka, (her name is Inuit for “Beautiful One”) is 100 percent Icelandic, her mother is Sharkane and her father is Kim 2. Shouka grew up under the care of her mother and fellow captive, Freya. When Shouka was three years old, Freya gave birth to Shouka’s half-brother, Valentin. The two siblings were very close. Soon, Sharkane gave birth to two more calves, Inouk in 1999, and Wikie, in 2001. These births were most valuable to Shouka in helping to teach her skills in taking care of a calf. Had she been allowed to live her life within this secure pod with her family she might have experienced a quasi-state of contentment even within the confines of a park prison. But at the young age of just nine years old, Shouka was removed from her pod in France never to see them again. In 2002, she was loaned to Six Flags World of Adventure in Ohio. Orcas are known to be one of the most social mammals on the planet and yet, for the ten years that followed that first move for Shouka, she was fated to live utterly alone without another orca companion. The contrast to her life with her parents and siblings and what she now had must have been devastating for her. By 2004, Shouka had been living by herself for two years when she was transported from Ohio to Six Flags Discovery Kingdom in Vallejo, California, where, once again she was alone, living in a far too small tank for a killer whale. Most of the time the pool water was murky and her tank was left unsheltered. Eventually, Six Flags found a friend for Shouka in Merlin, a wild-caught, male bottlenose dolphin. Because orcas are technically the largest members of the dolphin family, Shouka and Merlin were legally considered appropriate companions. Though past cases of orca-dolphin cohabitation have shown to be less beneficial than orca-orca arrangements, park officials hoped it would be an improvement over the past several years of Shouka’s life. But it wasn’t to be. In a 2008 inspection by the Animal and Plants Health Inspection Service it was reported that Shouka was being “single housed”—meaning the park was keeping the animals separate though, reportedly, “next to each other a majority of the time.” Making matters worse, in November 2011, Six Flags separated the two animals completely citing “recent compatibility issues” and ensuring it would seek another “suitable companion” for Shouka—another dolphin named Cupid. But in time, Shouka remained alone yet again. According to Section 3, 109 of the Animal Welfare Act, it is illegal in the United States to house social marine mammals in captivity without “at least one compatible animal of the same or biologically related species.” That’s federal law. Despite this, there have been far too many long-standing cases such as Shouka’s that have shown flagrant disregard for this particular government regulation. By law, orcas need to be with other orcas or cetaceans and Six Flags was in trouble for not complying with that decision. Meanwhile, Shouka, 19-years-old at the time, was beginning to display some behavioral issues during shows. 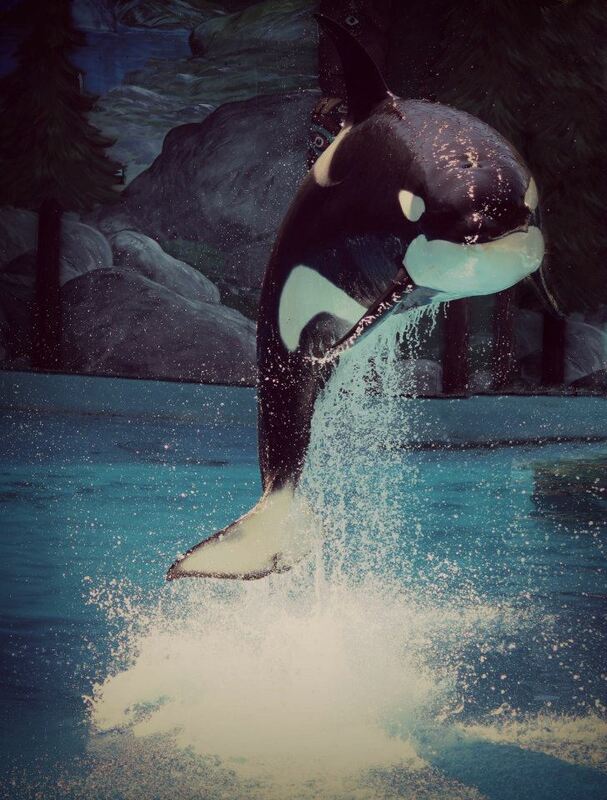 Footage originally uploaded to YouTube on July 7th, 2012 showed Shouka leaping onto the main stage of her show tank and lunging towards her trainer. Considering her frustrating physical and mental situation it is no wonder she was showing aggression. Who in their right mind wouldn’t feel this way?!!! “It is very tempting (and parsimonious) to attribute these aberrant behaviors shown by Shouka to her isolation. She has been without another orca for a companion for over a decade, however, and the appearance of these behaviors is relatively recent. With Shouka going “off behavior” and Six Flags unable to find a suitable companion for the orca, Shouka was shipped off to SeaWorld San Diego. Michael Muraco, the park’s animal care director, said in a Discovery Kingdom release, “We have long understood and recognized the need to pair Shouka with a suitable companion, as orcas are highly social mammals.” Really? How long does it take to make an orca go insane from sorrow and abandonment? So what’s next for SeaWorld’s newest addition to its orca family? The good news is that her long stint of isolation from other orcas finally ended. Shortly after her arrival, Shouka was introduced to Corky, another SeaWorld female orca. The two apparently got along very well together. But the bad news is that she’ll never be allowed to live out her days as a normal orca within a pod she knows and loves. Not as long as she is being used for profit within the SeaWorld prison. Shouka represents something more important to Sea World. Fresh genes for the park’s breeding program. They are a welcome addition, considering one of SeaWorld’s latest calves, Vicky, born at Loro Parque in Spain, was blood-related to 21 of 26 SeaWorld whales – including her great-grandmother, Kasatka (#2 of this Series); sadly, this inbred infant died last year. More and more inbred orcas are continually being added to SeaWorld’s “collection.” Katina, the maternal grandmother of Keet (#5 of this Series), was impregnated by her own son, Taku, at SeaWorld Orlando. But it all comes as no surprise to the activist, Wendy Brunot. Despite the fact that the activist has hounded Six Flags for years over Shouka’s welfare, she acknowledged that, “I am delighted Six Flags stepped up and gave Shouka the opportunity to again have the companionship of other orcas,” she said. For this reason alone, Brunot was happy to see Shouka leave, even if it was emotionally devastating for her to say goodbye. Our hope is that Assembly Bill (AB) 2140, the Orca Welfare and Safety Act, will be passed next year after its Interim Study this year. With its introduction by Assemblymember Richard Bloom, people who have been concerned for the safety and welfare of captive orcas and their human trainers have a concrete legislative proposal to advocate. Did his love for orcas begin when Steve lived in a small town called Bella Coola in British Columbia? Hard to say. But that is where he remembers being so taken by those beautiful marine mammals that swam off the coast of that Great Bear Rainforest. It also seemed natural that he would be so drawn to them, because Steve, himself was born to love the water. An avid scuba diver in college, he also took up surfing while living on the north coast of California. During his college years, Steve took numerous classes in zoology and plant biology while obtaining a degree in political science. It was then that he worked for a field biologist who was an expert in wetland ecology and Steve got a taste of how ecosystem restoration and species protection worked together. At that time, the timber wars were just heating up and the spotted owl was the scapegoat for ecosystem protection in the Pacific Northwest. The resource extraction industries were beginning to fine tune their green-washing campaigns and started to label animal and environmental activists as “extremists” for wanting to protect ecosystems and endangered species. But Steve loved the natural world—whether it was within the depths of the sea or rushing rivers or within the thick of forests—he felt a passion to not only be a part of it but to protect it all. He knew that he needed to take his studies to a place that would give him the power to make changes; to stand up for the innocents of the natural world; to be the voice for the voiceless. Even if it meant the chance encounter with a natural predator. Steve was working on salmon and old growth forest issues at the time and he remembers an incident that influenced him to pursue his love to advocate for the oceans and its inhabitants. While he was purchasing a wet-suit at a small local surf shop, Steve met a guy there who had survived a great white shark encounter while surfing. The young man saw the shark coming and pushed his board at the shark and it took a bite out of his board. The surfer didn’t sustain any injuries, but it was in the newspaper and on the news. Steve was at the surf shop where this guy’s board was on display a week or so later. As Steve was trying on his second or third wet-suit, that same guy came into the surf shop. Steve wondered what he was getting himself into, taking up surfing in cold shark-infested waters hundreds of miles north of San Francisco. The guy who had the shark encounter was okay, still wasn’t fearful of the ocean and was actually looking for a new surf board. Steve ended up buying his wet-suit, took up surfing (which he still loves today, but isn’t very good at it) and professes to paddle a lot more than he catches waves. He’s never seen a shark while surfing, but has seen over a dozen dolphins in the ocean while attempting to surf. In 2006, Steve saw a movie titled “SharkWater” by Rob Stewart. In the film, Stewart seeks to deflate current attitudes about sharks, and exposes how the voracious shark-hunting industry is driving them to extinction. In 2008, Steve donated some money to a not-for-profit to help with the end of production and distribution of the academy award-winning documentary titled The Cove about the Taiji, Japan, dolphin slaughter. In return for his small donation back then, he’s owned a copy of The Cove and shows it to anyone willing to watch it. Steve moved to San Diego about five years ago to work for a group of attorneys who were assisting victims of the 2007 wildfires recover losses not covered by insurance or who were uninsured. Steve is now less than a year and half from completing his law school studies and becoming a lawyer. What is his goal? We certainly are all wishing you much success, Steve! The legend of the first person is that he came to the water’s edge and met a group of people in a boat. He asked for a ride and was told he could get a ride if he covered his eyes and didn’t look. Once he started travelling with them he realized they were not humans but killer whales. They travelled to River’s Inlet and the boat capsized from the rough water. He burnt the boat over a fire and that is why killer whale’s are black today. First Nations in British Colombia hunt whale but never killer whale, as they believe the spirit of departed humans reside in the orca. There are also old stories about the killer whale saving humans from floods. 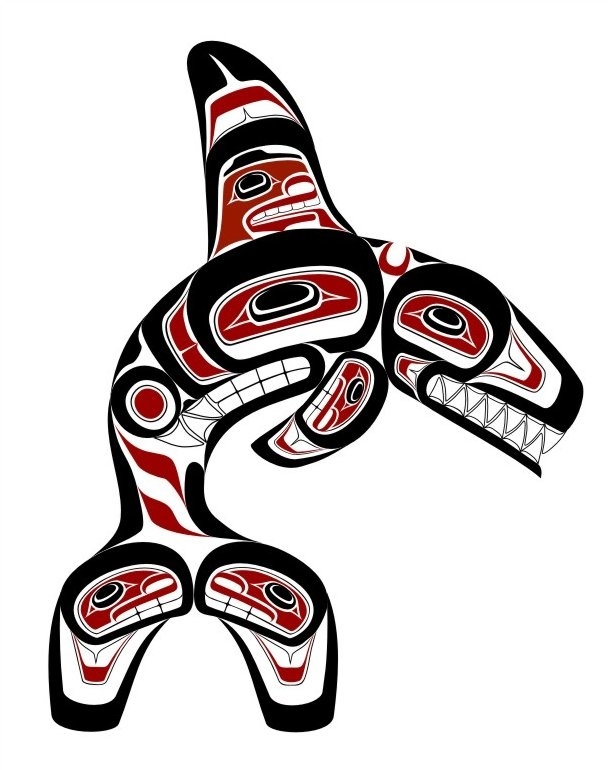 It’s ironic that these orcas are given ‘Indian’ names when they are kept in a manner that is disrespectful to traditions. 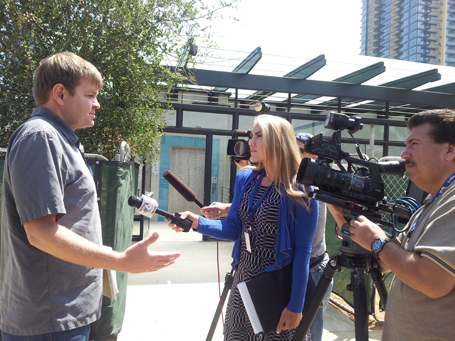 Nice to hear about the Marine Mammal Center that can educate people about orcas without imprisoning them. They blow a huge hole in SeaWorld’s go-to argument that imprisonment is a necessary part of education. People can go to Bella Coola and watch the orca out in the ocean and learn in a positive way to respect the orca, instead of learn in a negative way by visiting SeaWorld. Beautiful information, Marc. This is so moving. I will re-read it again and again and share it with others. Feel like crying. Have you shared this story with others? It would be so important for the world to hear this other side of the killer whale saga. And yes, how ironic that they are given “Indian” names when ultimately the orcas are, as you expressed, “….kept in a matter that is disrespectful to traditions.” The truth resounds in your words. THANK YOU! Happy to share. The headline picture in this story and the mention of Bella Coola are really what brought it to mind. To be honest I don’t often share these kinds of stories outside my immediate family. It’s a sensitive topic for me because there is a lot of disrespect for First Nations “Indian” values in the world today. It really hurts when people show ignorance and hatred towards beliefs that are deeply held. Sometimes the only way to hold on to them is to keep them to yourself. Canada has treated First Nations as badly or worse than the US. Even going so far as to outlaw traditional practices of the Northwest tribes such as the potlatch. Keeping things to themselves was a matter of survival and preservation. Things are changing today and I think more First Nations are sharing their culture and stories because the world needs them so desperately. We are all in the same boat in the end no matter what we believe. The traditional way to hear these stories is in person from elders. Many are long and take days or even weeks to tell. As I am not a member of these tribes I don’t really feel like these stories are mine to tell and I’m afraid of getting them wrong. Perhaps I can write something for OB Rag that sheds at least a little light on the traditional stories of the orca based on my limited understanding. Thanks so much, Zach! Yours is next…! Thanks again Cara! And great work Steve, see you at the next Protest! Thank you so much, Taj! Much appreciated! So sad to hear about Shouka being seperated from her family and living in isolation for so long. That definitely effect social beings non human and human. Steve, so interesting to read about all you have done and how you got to advocate for the orcas and other animals. Glad your using your education and talents to speakn up for the animals. Older Article: Remember the Folks Who Brought You the 8-Hour Day?